A spacious, extended and practically configured 3 bedroom semi-detached home in a highly-desirable location set on a corner position. 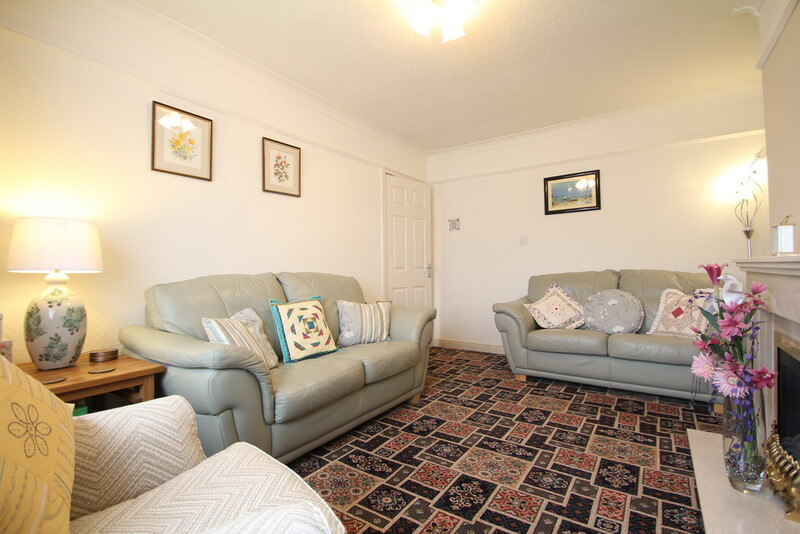 Offering the advantage of three reception rooms, garden room and extended utility room with three double bedrooms and family bathroom upstairs. 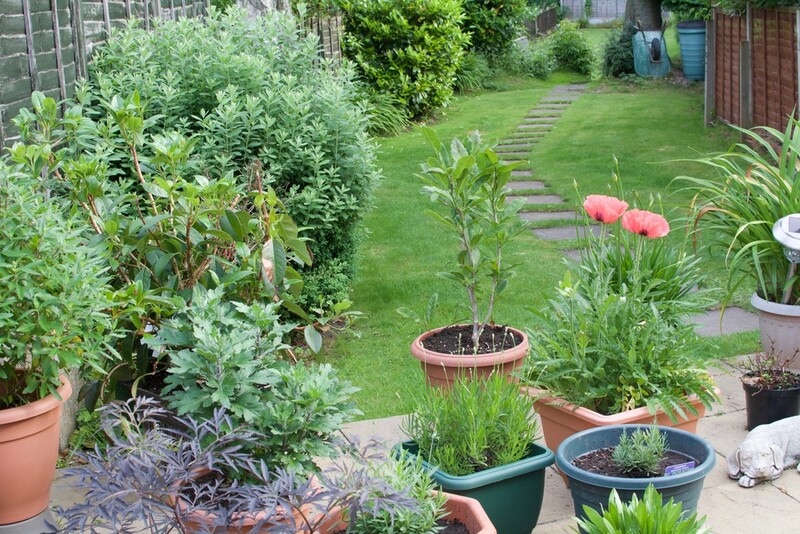 Large secluded rear garden, off-road parking for several cars and large garage. 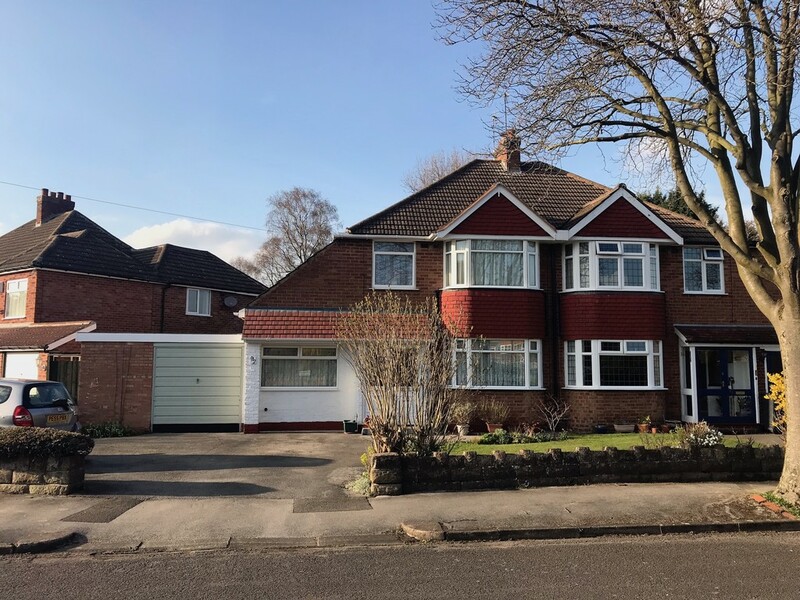 PROPERTY IN BRIEF This property has been a wonderful family home for the last 25 years and now it's time to downsize affording an amazing opportunity for a new family. Ginger Estate Agents are super-excited to bring this home to the market and find a new loving owner. Set in a highly-desirable, peaceful and established location within easy reach of Solihull town centre, local rail and road links. 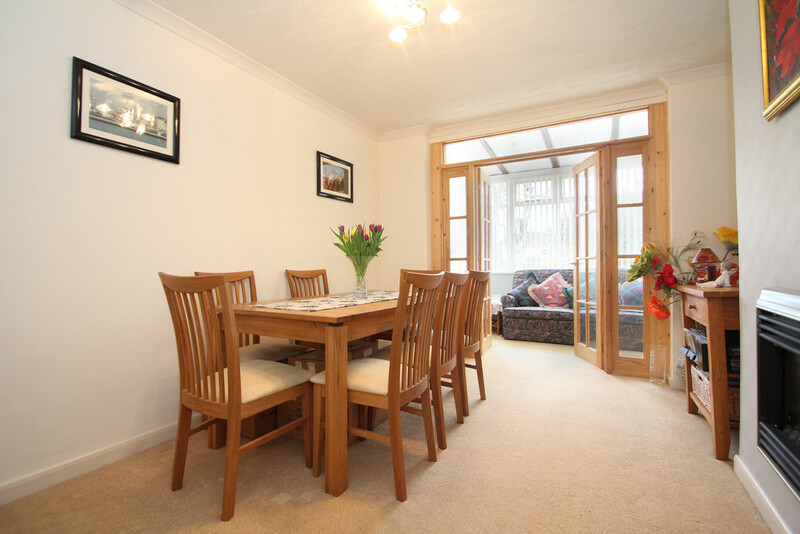 School catchment is a major consideration and another plus with this property. 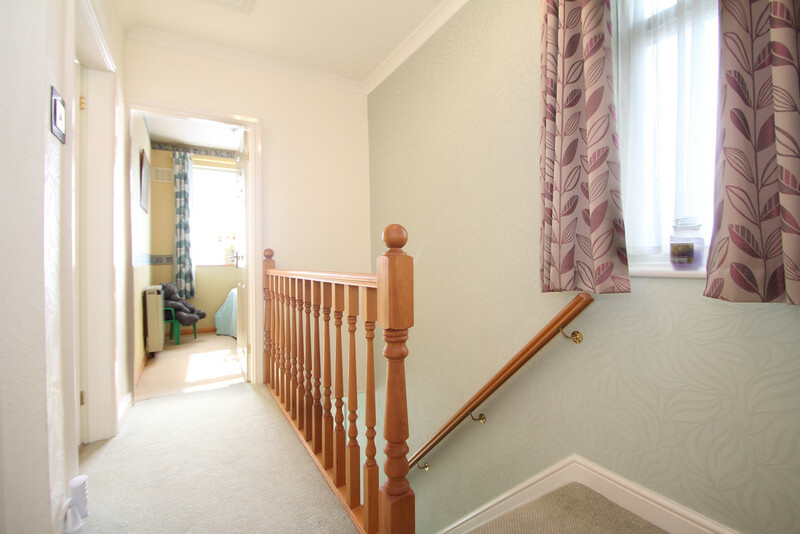 The ground floor offers an abundance of accommodation having the benefit of three reception rooms-living room, dining room and separate sitting/family room/office. 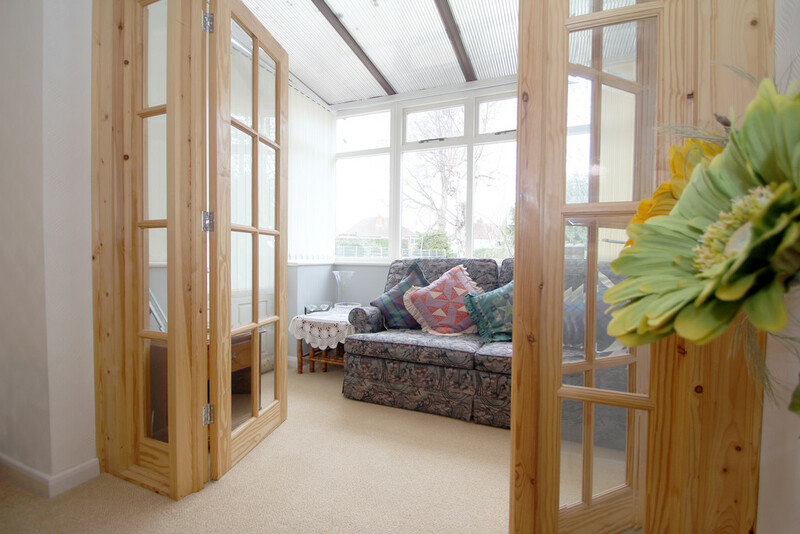 A garden room has been added with french-style doors linking between the dining room and patio door leading outside. 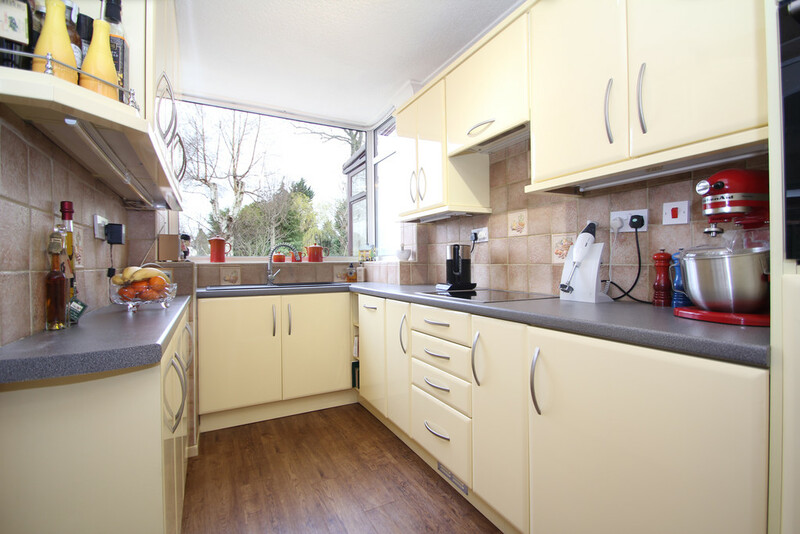 A bright, cheerful kitchen with integrated appliances and the benefit of a separate utility room off to the side, again with doors leading out to rear garden. 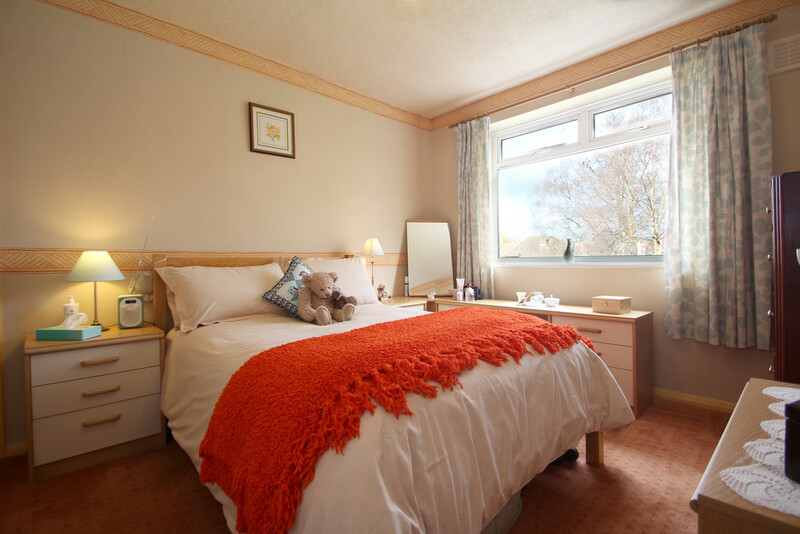 The first floor accommodation offers three great sized bedrooms, spacious landing and family bathroom. The property is set on a corner position offering the benefit of off-road parking for several cars, large garage to side and another key feature being the large, secluded rear garden which is simply perfect for the little ones to run around and the dog to chase around too. 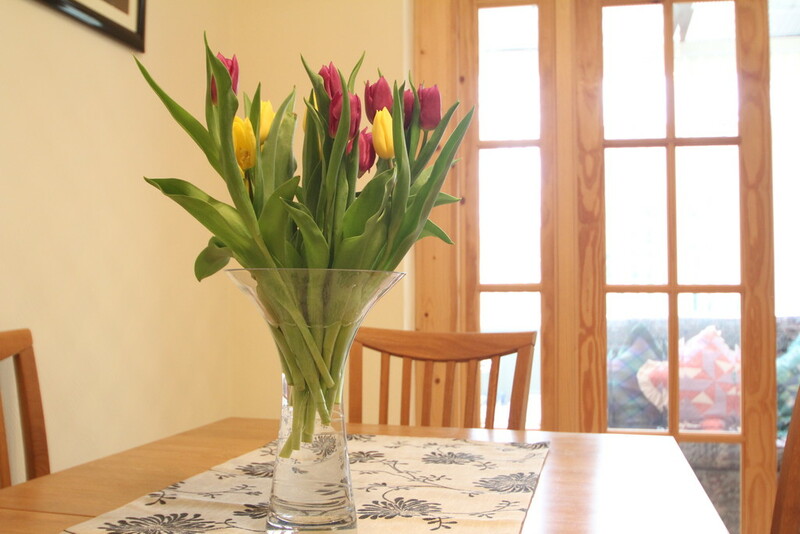 A superb property and one that you need to view to appreciate the accommodation on hand. PORCH 4' 9" x 4' 1" (1.47m x 1.26m) We love a good porch, perfect for dropping off the shopping off on a rainy day. This spacious porch benefits from a UPVC front door with window to side, Polyflor flooring, utility cupboards and a gorgeous feature part-glazed front door leading you inside. 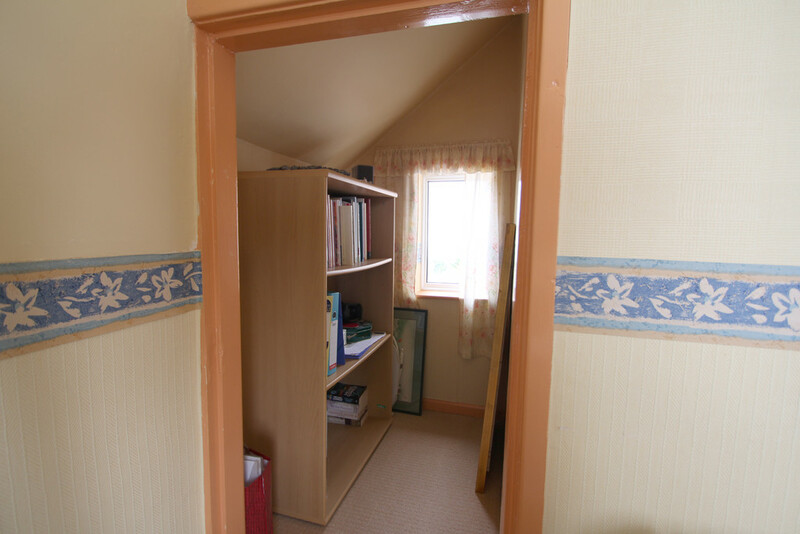 HALLWAY 5' 10" x 15' 1" (1.80m x 4.61m) Welcome inside this spacious, bright and neutrally presented hallway. 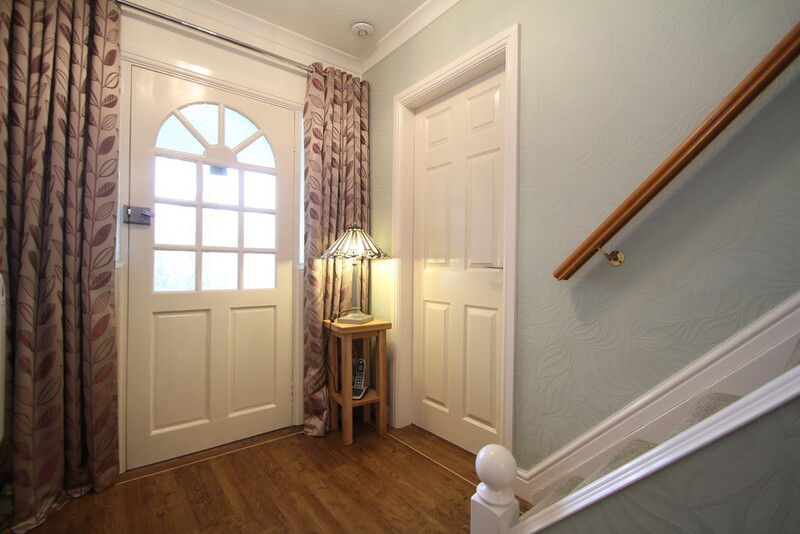 Affording access to all three reception rooms and kitchen. Having under-stairs storage cupboard, electric radiator and gorgeous hard-wearing 'Polyflor' flooring-ideal for family home. LIVING ROOM 10' 6" x 15' 6" (3.22m x 4.73m) One of the great features of this period home are the large windows and tall ceilings, and the living room is a great space to show off the advantage of such features. 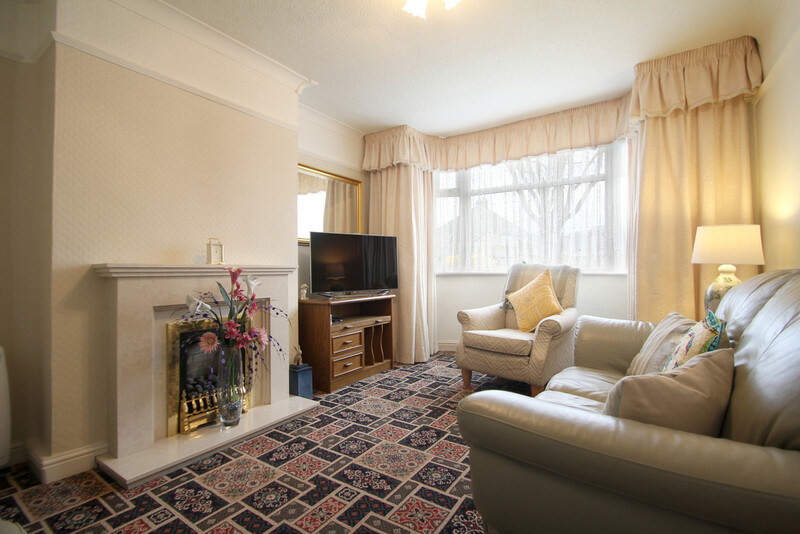 A bright, spacious and neutrally presented room having a gas, coal-effect fire with a gorgeous marble surround. Large, double glazed bay window with opening lights, T.V aerial, contrasting carpet and ceiling light. 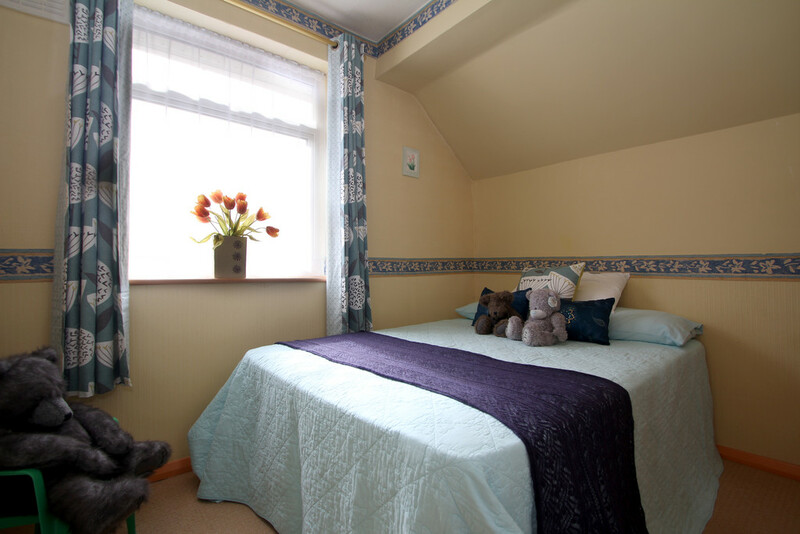 A wonderful airy room for the family to relax. DINING ROOM 10' 2" x 13' 10" (3.11m x 4.22m) A big, bright dining room is perfect for large gatherings and a good Sunday lunch. Again, tall ceiling and a French-style wooden windows and doors delivering plenty of natural light and leading through to the Garden room for after-diner relaxing with a glass of port. Having the benefit of a recessed gas fire, neutral decor and light carpet. GARDEN ROOM 7' 11" x 6' 3" (2.43m x 1.91m) This is a great space. When we were measuring up this property we paused for a while to enjoy the birds song and the peace and quiet, plus the view of the secluded, long rear garden. This is a tranquil room to enjoy. Leading off the dining room creates a nice space to wander in and chill out. Having a recently installed Poly-carbonate roof and side door leading out to the patio area. SITTING ROOM 7' 10" x 13' 2" (2.41m x 4.02m) Once the original garage, this space has been suitably converted into a sitting/family room. Double glazed window to front elevation over looking the front garden and driveway. Should you require a work-from-home situation then this room works really well. For the younger family members then perhaps suited as games room or TV cinema room for them. KITCHEN 5' 4" x 11' 6" (1.65m x 3.53m) This is a cracking kitchen, a bright, cheerful selection of hi-gloss wall and base units with contrasting work-surfaces. A superb way to start your day-preparing your breakfast looking into the secluded garden through the double glazed bay window. The kitchen offers integral appliances to include AEG Induction hob, Samsung single oven and grill, Bosch slimline dishwasher, Integral fridge and Franke sink with Flexi mixer tap. 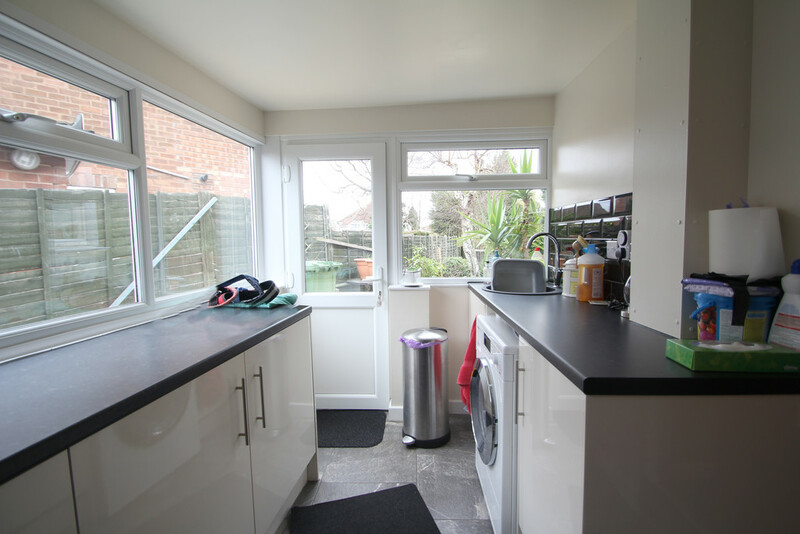 Another great feature of this property is the separate utility room off the kitchen to keep all your chores away from the cooking area. UTILITY ROOM 6' 8" x 13' 6" (2.04m x 4.14m) A great asset to this home to take the pressure off the kitchen and provide a great space to take care of your washing and extra storage space. Offering hi-gloss base units with round sink, mixer tap and splash-back tiling and great floor tiles. Provision for your washing machine, surrounding double-glazed windows, door leading into garage and patio door leading out to rear garden. LANDING 5' 10" x 9' 8" (1.78m x 2.97m) A spacious landing area having flower design opaque double-glazed window to side to shed plenty of natural light. Access to the loft space from here, smoke alarm, power sockets and access to all three bedrooms and bathroom. MASTER BEDROOM 10' 5" x 15' 11" (3.2m x 4.87m)into bay The feature bay window with double-glazed units deliver an abundance of natural light into the bedroom affording a perfect to start your day. The tall ceilings add to the sense of space along with the neutral decor. There is plenty of floor space for your bed and wardrobes. BEDROOM TWO 10' 3" x 13' 3" (3.14m x 4.06m) Located at the rear of the property with that delightful view of the rear garden. Another spacious bedroom with large double glazed window delivering lots of natural light. Tall ceiling and plenty of floor space here too. A lovely second bedroom. BEDROOM THREE 9' 2" x 8' 2" (2.81m x 2.51m) Who said the third bedrooms are always a box room-not this home, this is a great bedroom. Bedroom number three has the advantage of a wardrobe/study area into the eaves with window looking out to the rear garden, a great design. 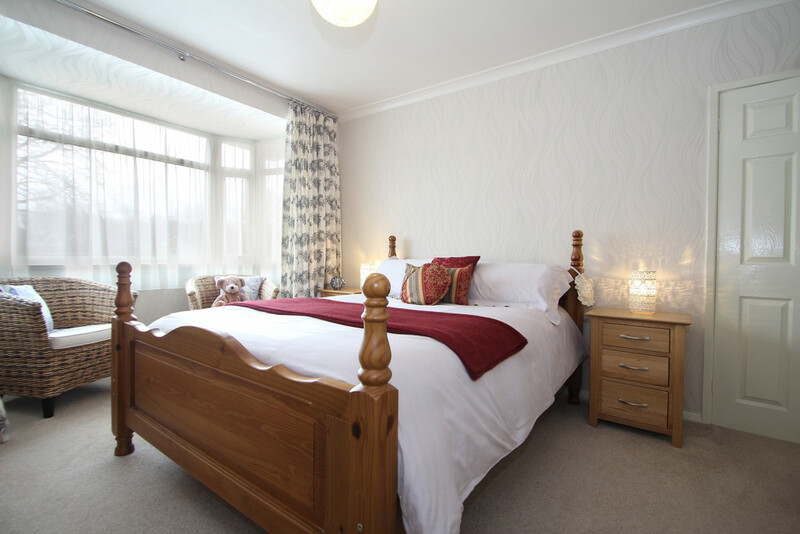 The main bedroom area is again spacious with the large, double glazed window looking over front driveway. Dimplex electric wall heater, carpet and ceiling lights. BATHROOM 6' 2" x 8' 2" (1.88m x 2.51m) The main bathroom has the advantage of hard-wearing Karndean flooring. 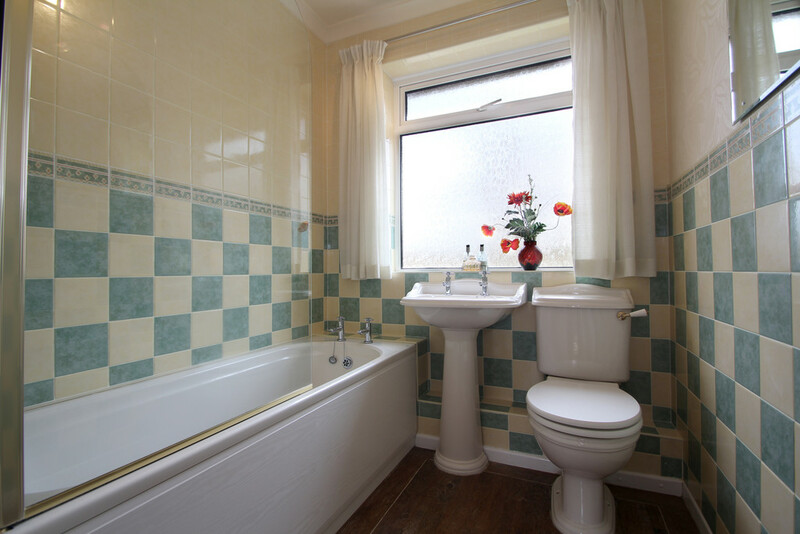 A neutral, Victoria style suite offering washbasin with chrome taps, W.C, bath with electric Mira-Sport shower over and glass folding shower screen, all surrounded by cream/light green wall tiling. 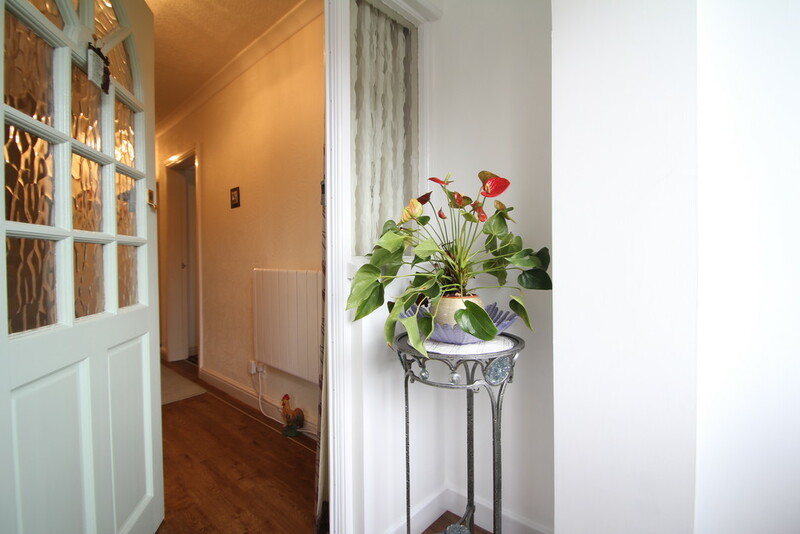 Flower patterned opaque double glazed window, shaver point and electric radiator. The airing cupboard offers great storage space for your towels and linen. GARDENS The front of the property offers plenty of off-road parking, access to the garage and fore-garden. 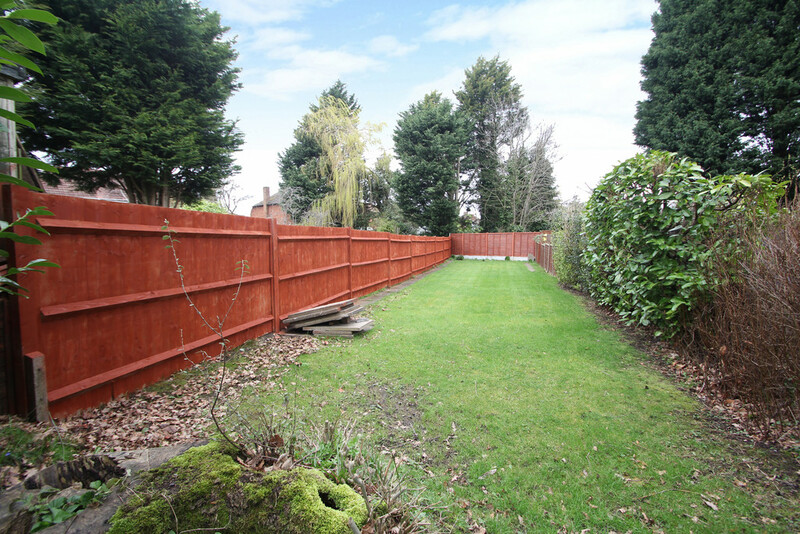 The property benefits from large, secluded rear garden which is perfect for the family and dog to run around. 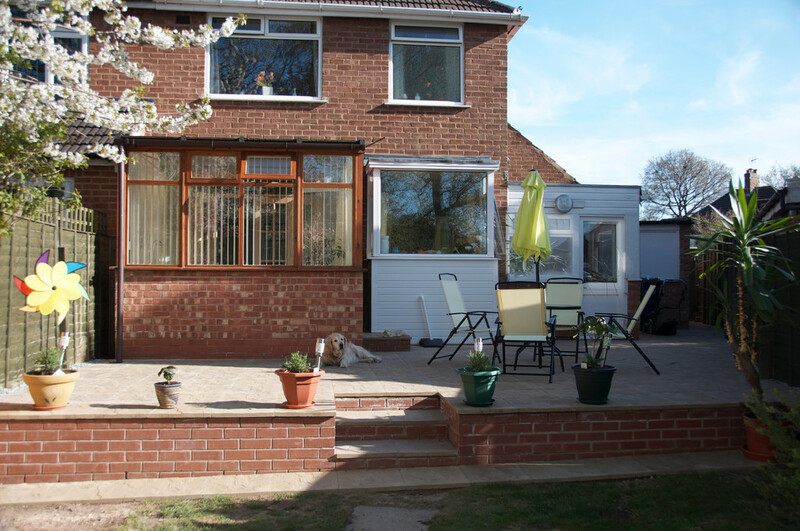 The patio can be access either via the Garden room or out from the utility room. The patio area is spacious offering space for patio dining set and then stepping down to the lawn area. A wonderful place to sit, enjoy a cold beer and the views. Outside water tap. This is a great, peaceful, safe space to really enjoy. Room sizes and property layout are presented in good faith as a guide only. 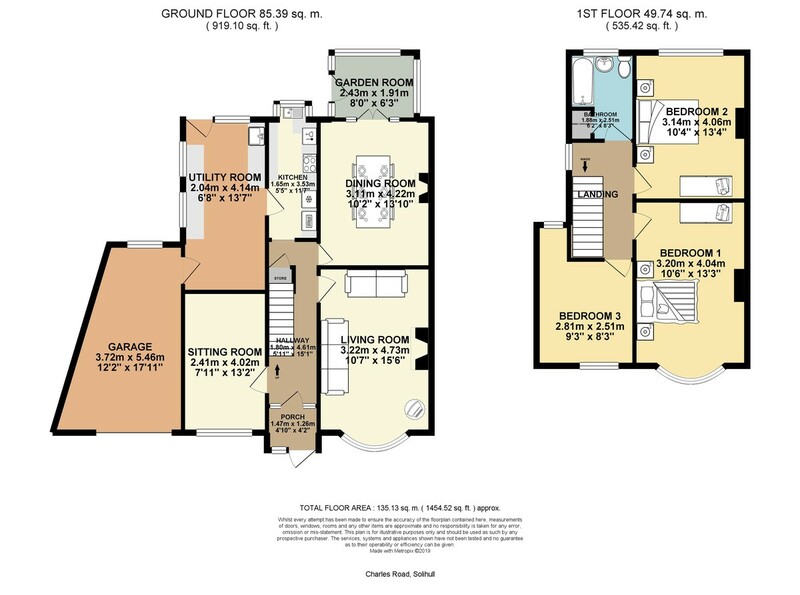 Although we have taken every step to ensure the plans are as accurate as possible you must rely on your own measurements or those of your surveyor. Not every room is accounted for when giving the total floor space. Dimensions are generally taken at the widest points.